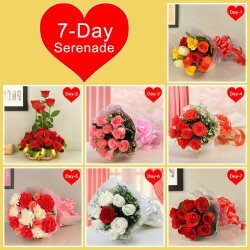 Intensify the day of romance as you send Valentine flowers online to Jalandhar. Valentine's Day being the most awaited event for the lovebirds, celebrate it with fresh blooms from MyFlowerTree and astonish your love. Buy now and spread happiness galore and that too at an affordable price! 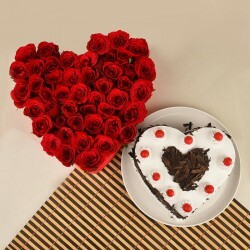 The most love-filled day of the year, Valentine’s Day (14th February) is almost knocking the door. As an ardent lover, you might have already started searching for the perfect token of love for your beloved one in Jalandhar. 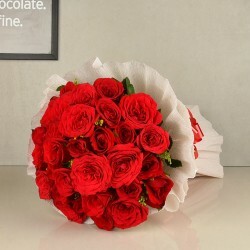 Now, you can easily bring that special smile on your dearest one’s face by sending Valentine’s flowers in Jalandhar online. Can you really name a person who doesn’t love to receive the godly gift of garden -fresh flowers or who don’t acknowledge of the aesthetic of fresh flowers? Well, the obvious answer is no! As a very prominent industrial and commercial city of Punjab, Jalandhar is home to the people coming from different cultures, religions, languages, etc. Just like most of the major occasions in India, the day of love, Valentine’s Day is also celebrated in this country with much gaiety and enthusiasm. 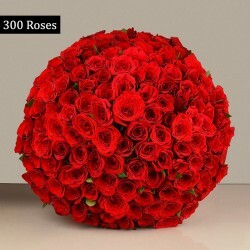 If your loved one resides in this country, you can express your heartfelt love and affection to them by sending flowers to Jalandhar online from India’s most popular online floral and gifts store, MyFlowerTree.com. No other gifts like beautiful and charming flowers can express the feelings of love, affections, and care. 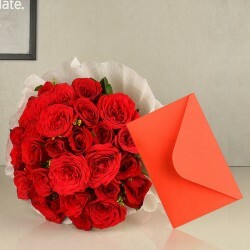 Why MyFlowerTree for Delivering Valentine’s Flowers To Jalandhar? 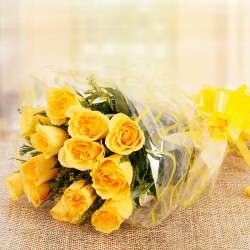 We ensure the delivery of beautiful floral arrangements coming with a garden fresh quality. We always put quality as the first priority, therefore, no matter how stiff your Valentine’s gift budget is, you won’t have to compromise with the freshness of the flowers. Each of our florists in Jalandhar has the adequate amount of skills-set and experience so that they can ensure that the flower arrangement ordered by you comes with the most appealing design which expresses your love and romance to your loved one in the best manner. Ranging from the eye-catching arrangement of Carnations, Lilies, Roses to Gerberas and beautiful Orchids, MyFlowerTree would definitely leave you spoilt for choices. This Valentine’s Day, present a life-lasting memory to your dearest one by sending the awesome combination of gifts with flowers. 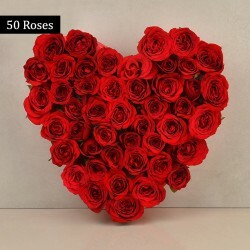 When it comes to sending Valentine’s gifts to Jalandhar, our online store offers a gamut of gift options that include the gifts like assorted and homemade chocolates, plants, cookies, soft toys, perfumes and many more. We, at MyFlowerTree, take sheer amount of pride in serving the people of Jalandhar with our impeccable services. We don’t consider our customers as the business, rather we consider them as a member of our family. 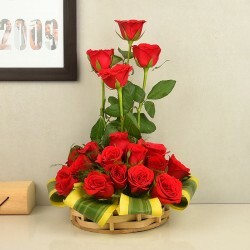 Unlike most of the online floral and gifts stores in India, we offer special express delivery services like same-day delivery and midnight delivery option in this city. 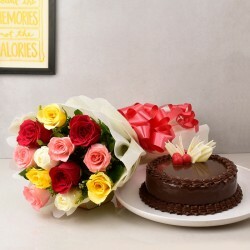 If it’s the Valentine’s Day, and you somehow have forgotten to purchase the special hamper for your loved one, no worries, as you can simply go for same day flowers delivery option offered by our online store. So, no more wastage of time, just choose the best arrangement of flowers and send it to your dearest one in Jalandhar from MyFlowerTree. Products in this category have been rated 4.5 out of 5 based on 137 reviews.